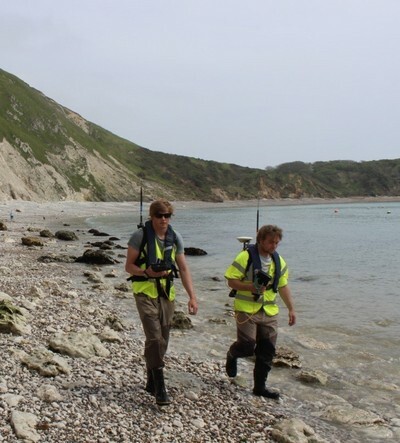 Our coastal surveyors are measuring the beaches to see if they are changing. 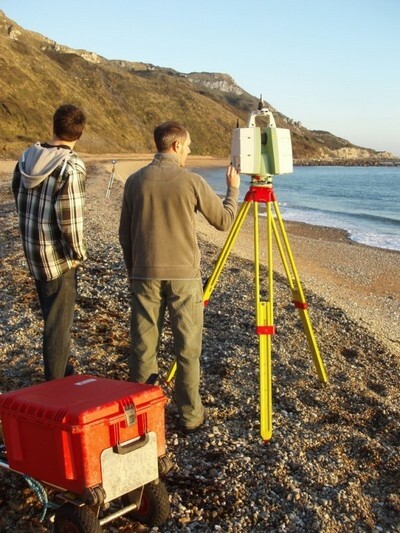 By repeating surveys every 6 months or so, coastal managers can check whether beaches are still in a healthy condition to prevent coastal flooding, or to protect the foundations of seawalls. 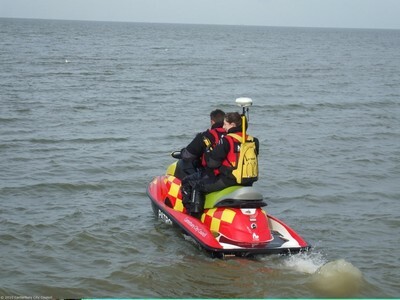 It can even go on a jet ski! 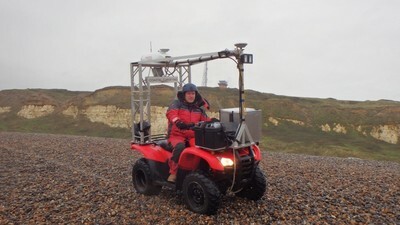 A Laser scanner collects millions of data points in a radius of about 200m. 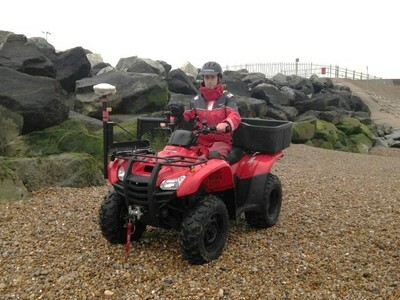 The scanner is then moved to another position, to build up a survey of the whole beach. There is lots more information about all the data collected by the Regional Coastal Monitoring Programmes, including real-time wave conditions, photos and reports, on this website - start with any of the buttons on the home page www.channelcoast.org, or click on of the Regions on the map to open up information about that individual Region.